Softcover, 8 1/4 in. x 11 3/4 in. Note: This Mercedes workshop manual was translated from German and covers W124 models sold in Germany and the rest of the world. While some systems and procedures do cross over worldwide, this manual is not intended to fully cover Mercedes-Benz models sold in the US or Canada. 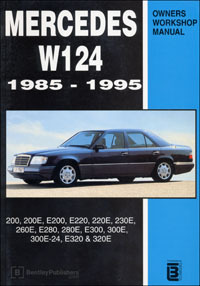 This Mercedes-Benz E-Class (W124) service manual contains technical data, maintenance procedures and service information. It details service procedures such as engine oil changing, engine removal, carburetor and fuel injection tuning and cleaning, adjusting valves, bleeding brakes and clutch, and suspension repair. 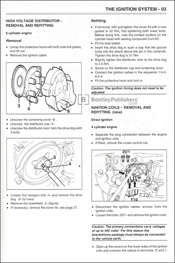 In addition to Mercedes-Benz repair information, the manual contains electrical wiring diagrams.